Episode two looked at the difficult decisions facing the Service as we responded to emergencies on a busy night shift. While staff in our control room took thousands of calls and allocators prioritised the sickest patients, they also contended with hoaxers, frequent callers and run-away patients. One frequent caller, who suffers with dementia, phoned15 times in one evening, even after visits by clinicians who agreed she didn’t need their medical assistance, leaving staff facing the difficult decision of saying no to her heart rending pleas for help. On the road, ambulance crew Shani and Dave expressed their frustrations as they are diverted away from an elderly man who’s been waiting almost three hours after a fall, to a woman having a miscarriage – but all is not what it seems. 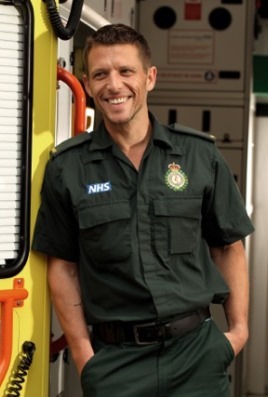 Meanwhile paramedic Dean and trainee emergency ambulance crew (TEAC) Andy showed incredible care and compassion to a 94 year old woman, who kept them entertained as they treated her. The following evening, emergency medical dispatcher Emma spent an hour and a half on the phone reassuring a suicidal patient who was running away from the crews trying to track him in the busy streets of London.